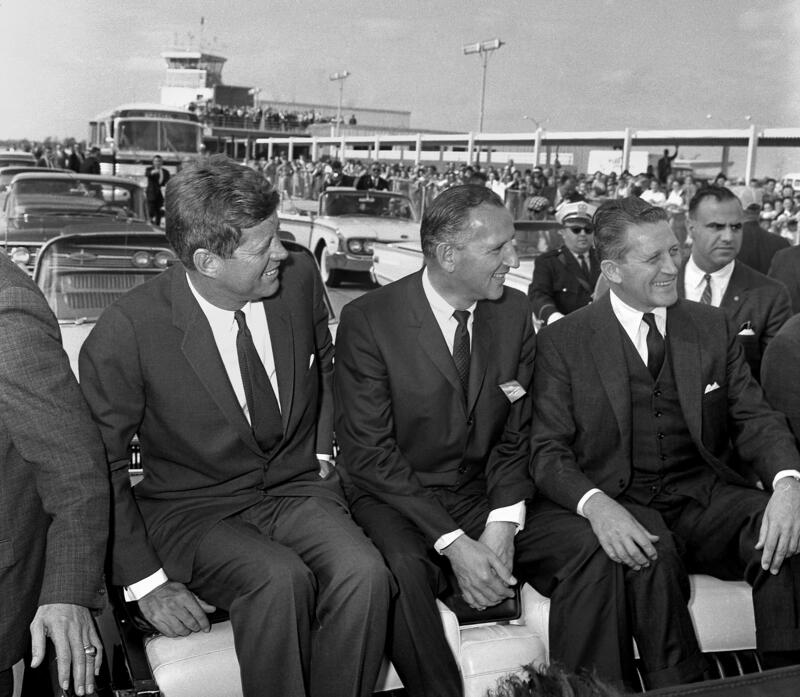 President Kennedy, U.S. Senate Candidate Sidney Yates (center) and Gov. Otto Kerner during JFK's visit to Springfield in October 1962. 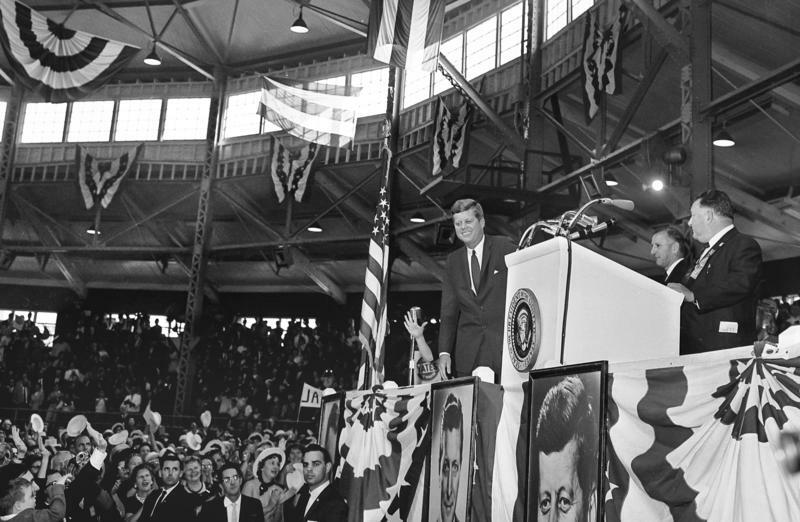 President Kennedy addresses supporters at the Coliseum at the Illinois State Fairgrounds in Springfield in October 1962. A year before President John F. Kennedy was assassinated in 1963, he made a visit to Springfield where he stumped for congressional candidates. It appeared everything went as planned. But recently, unclassified documents were made available explaining an incident that seemed to foreshadow what took place in Dallas. During an open-vehicle presidential motorcade, a witness saw a rifle pointed at JFK from a second story downtown Springfield building. The incident has been a mystery for 56 years and still, not all the details are known. Crystal Thomas is a reporter for the (Springfield) State Journal-Register. She began looking into what happened after recently unclassified documents turned up more information. Sean Crawford talks with the SJ-R's Crystal Thomas about her story on JRK's visit to the capital city in October 1962 and what we know about a rifle pointed at the president's motorcade.